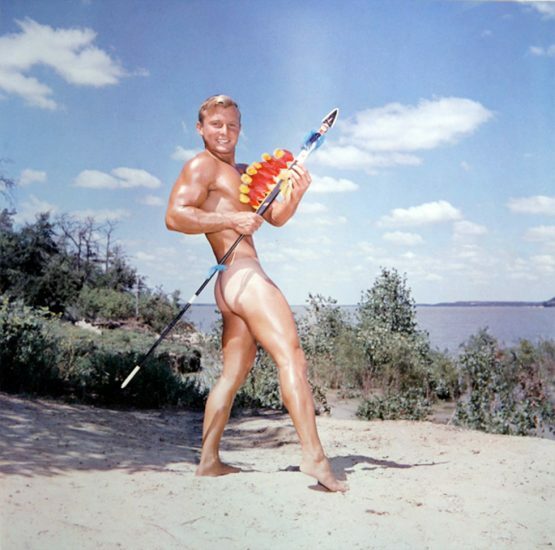 One of the most famous names in physique photography, Bruce Bellas (1909–1974)—best known under the pseudonym Bruce of Los Angeles—is remembered today as a pioneer of beefcake. 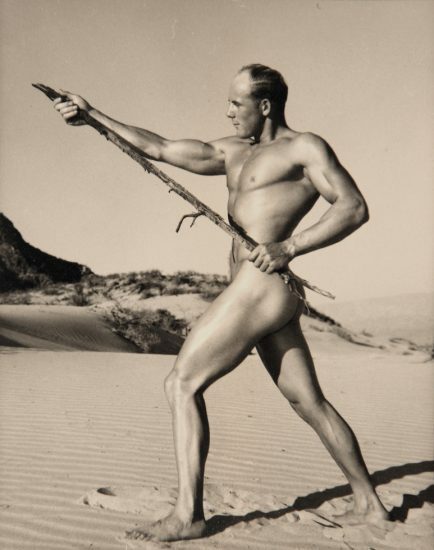 Beginning in the 1940s and continuing until his death in the 1970s, Bruce of LA photographed countless strapping male models. He crafted a refined, masterful aesthetic of erotica, whose influence would later surface in the work of Robert Mapplethorpe, Herb Ritts, Bruce Weber, and many others.